I have been a part of the telemarketing world for many years and work with a wide array of different clients, but I always get excited when I find out that Quality Contact Solutions landed a new client that needs help with membership retention outbound telemarketing calls. Associations provide many valuable benefits as part of their value proposition to their members. From certification programs to meetings and conventions, to networking, associations are ideally positioned to meet the unique needs of their specific members. First and foremost, front line call center agents like to put a face with the name of the client. Who are they making these calls for and why is the membership important to the person that we will be calling? Having the clients be present, providing their knowledge and encouragement, can make a world of difference in how our front-line team performs. We have all heard the phrase “smile and dial”. I don’t know how many times I say this during trainings and monitoring sessions. You can “hear” a smile! Starting the call off with a pleasant tone will help the agent connect faster with the member. Have the agents’ role play before shift to make sure that you can “hear” the smile. If an agent is happy and energetic, it will also help their tone and pace. Many members that we call are busy professionals. They are thankful for our call, but they need to get the renewal done quickly without feeling like they were slighted in customer service. This one goes back to the initial training and making sure that the front-line agent has all the tools needed. The script (also known as a call guide) should be clear and concise. 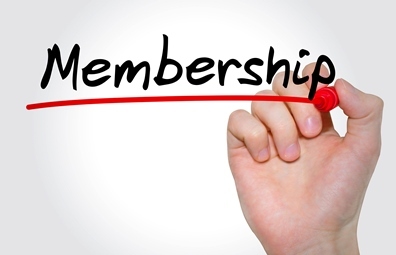 This includes immediately stating right away who the agent is calling on behalf of, what type of membership is up for renewal and the price to renew. The agent should also have access to Member’s ID and expiration dates so that they can speak to the member intelligently. The agent needs to also be well versed in the processes, especially if payment is being taken. Having the knowledge to walk the member though each piece of the renewal is key. A telemarketing agent is not going to be an expert on each association right away, but you need to provide them with FAQs and common Q&A’s, so they can feel comfortable contacting the member. No one wants to feel like they are ill-equipped for placing a call. They need to know the basic information and they also need the proper contact information for times that they cannot answer a question or if a member has a concern. Preparing the agent to listen carefully to the member is very important. A lot of times, members will offer pertinent information that the association would like to have notated. It may be why they have not renewed or why they love the membership so much. Feedback and transparency helps ensure a fantastic long-term relationship and is the key for future success. This entry was posted in Articles and tagged Associations, B to B Telemarketing, B2B Outbound Marketing, B2B Telemarketing, Telemarketing Services on January 23, 2018 by .